SKU: N/A. Categories: Corns, Pads. This product follows the design of the more traditional elastic metatarsal band to address conditions such as hard skin and corns. 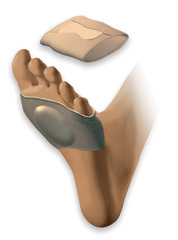 An extra soft silicone disc has been embedded in the elastic band to help the affected metatarsals unload and diffuse pressure. Snugly fits into any kind of shoe. 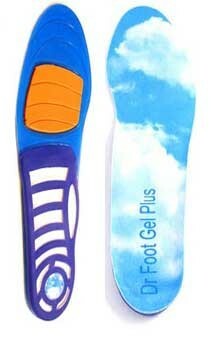 This elastic sleeve slips onto your forefoot to reduce pressure and provide extra cushioning protection. 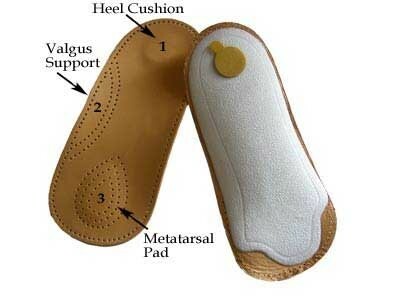 If you suffer from corns, painful calluses or general forefoot discomfort, the extra soft and breathable silicone pad offers you tremendous relief.